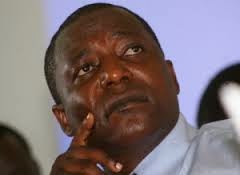 Embattled Labour, Social Security and Services cabinet secretary Kazungu Kambi who has of late been embroiled in controversies has been caught in yet another saga where he is working in cahoots with one Ken Karisa to mint millions of shillings from unsuspecting Chinese investors and prominent local and international businessmen. According to sources privy to the syndicate, Karisa who is a close ally of Kambi has his phone number recorded in Kambi’s phone as Uhuru Kenyatta. The con game is played in a manner that whenever Kambi has a meeting with investors or prominent businessmen, he signals Karisa to call him and Kambi would excuse himself to speak to the most powerful man in the country. He would even display his phone so that they see for themselves that it was Uhuru. He excuses himself running far end in the office corner in the pretext the president has called him and needs to be in private. As he goes, his visitors are convinced the cabinet secretary is so close to State House and has to be consulted on regular basis. He would then retreat back claiming he had a serious conversation with the president and claim that the president was inviting him for a harambee. He would then ask the unsuspecting investors to chip in towards the presidential harambee. The unsuspecting investors would then contribute towards the harambee but the money ends up in Kambi’s pockets. Of late, there have been concerns that those appointed on URP side in plum government positions are forced to contribute towards harambees as a payback. DP William Ruto has been contributing close to Sh10 million a week on the purported fundraisers. The deputy president is a close ally of Kambi. Word has it that the said investors happen to be close to Ruto and if Kambi invokes the DP’s name they will put him off in the pretext that they have already dealt with the DP and hence they are aware of the harambee. Kambi has been involved in bruising NSSF wars involving multi-billion construction projects. A section in Jubilee are allegedly out to siphon billions from the workers money as it used to happen during the Moi era to tame political opposition. Already, we have established that NSSF has lost close to Sh1.7billion public money between the months of January and June this year. Due to corrupt deals at NSSF, the future of the controversial construction of the 62-storey building in Nairobi now hangs in the balance after investors snubbed an invite to participate in the project. Investors fear being associated with corruption as it is bound to taint their image locally and internationally. They are also concerned with the state’s move to control the institution. Word has it that Uhuru signed the Finance Bill to have workers have a say on NSSF board after being advised investors were shunning NSSF projects due to lack of transparency and behind-the-scenes operations with kickbacks being asked in advance by key players. This is the second time investors have shunned the Sh20 billion project forcing the NSSF board to go back and think twice. Sources say NSSF invited investors to partner with it in the construction project planned to host conference halls, a five-star hotel and rental apartments. Industry analysts aver that it only received one proposal. This shows all is not well at the fund. This is happening as Ruto has openly come out to state the Jubilee government will push for implementation of new NSSF rates which contributors say is suspect. It is said, due to its bad image among investors, the fund’s move to exit View Park Towers and Hazina all located in the city centre through sales has hit a snag. Lack of offers that matched its valuation and fear of corrupt deals has rendered the sale irrelevant. Investors are not interested in NSSF deals because of underhand deals that top management and other key players out to make a kill are involved in.